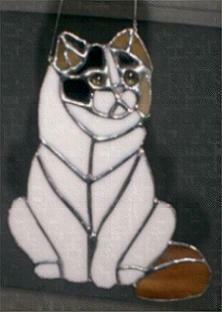 Cats - Stained Glass Wow !! 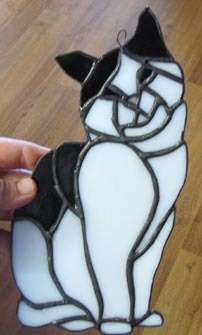 This was a custom order. 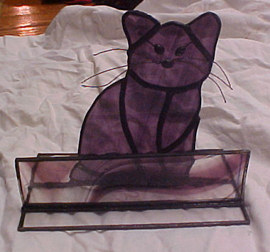 The photo I used to create sweet cat is next to this photo. 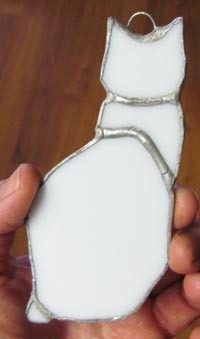 Feel free to send me a photo. 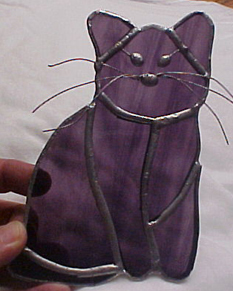 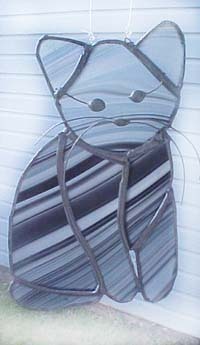 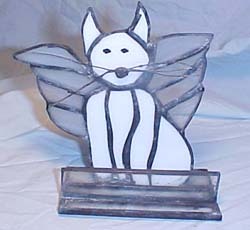 I would love to create your cat in glass. 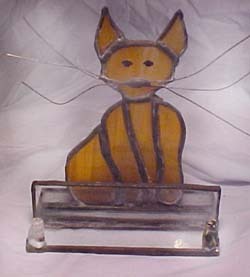 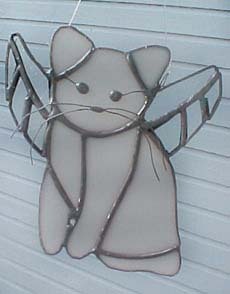 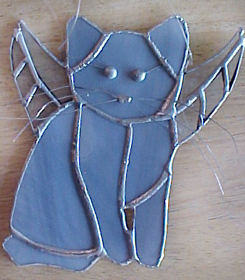 Photo used to create a stained glass custom cat. 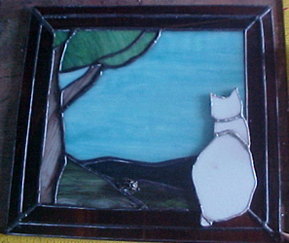 A fun custom order window. 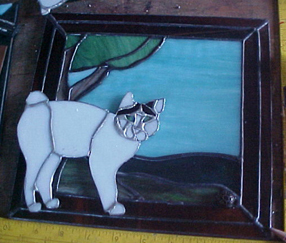 A fun custom ordered window.